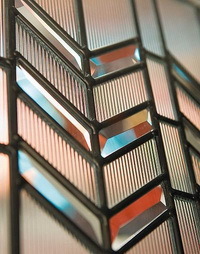 Prairie Bevel's chevron design and patina finish give a nod to an authentically American style called Prairie. 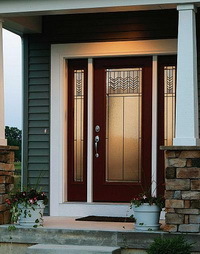 This Craftsman Collection member features translucent textures and clear beveled glass. Prairie Bevel offers a medium level of privacy.